Our Reading law practice is located in the city of Reading which is the county seat of Berks County. It is the fifth largest city in the Commonwealth of Pennsylvania with a population of 87,879. It is about halfway between Harrisburg and Philadelphia. Reading is a city of contrasts with 7% unemployment, yet there are three fortune 500 companies located here. The Founding Principal Attorney and Partner, Gary Brod has handled many types of personal injury cases involving persons who have sustained injuries as a result of the negligence on the part of another person or business. If it can be proven that the victim sustained injuries because of negligence on the part of the perpetrator of the action causing the injuries, the victim is entitled to monetary compensation. Top rated Reading Personal Injury lawyer, Gary Brod will handle your case from start to finish. 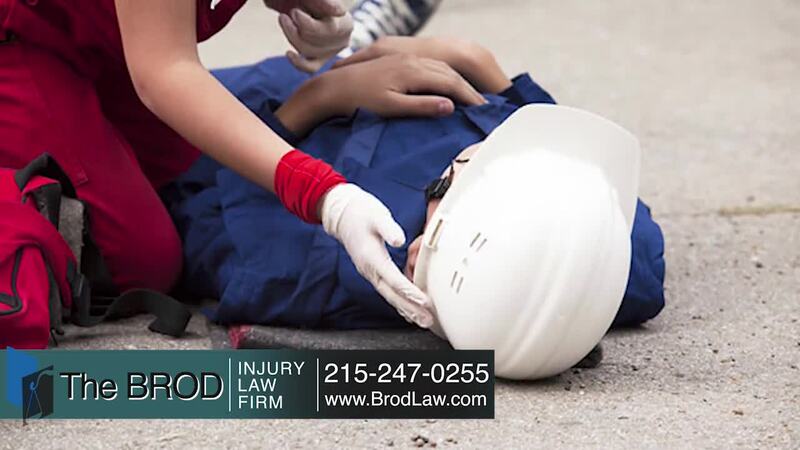 Simply put, The Brod Law Firm's goal is to get the injured personal injury victim the best result possible. Because Gary Brod is a Reading personal injury lawyer who knows how to try a vast array of personal injury cases and win; he knows how to win top settlements for his injured clients. What Do You Get By Choosing Reading Personal Injury Attorney Gary Brod? What is Necessary To Be Established In Any Personal Injury Case? Duty: First, in order for a claim to arise a duty is owed by the individual who caused the victim to be injured. One owes a duty of due care to a pedestrian crossing the road. Breach: In order for the negligence action to be valid the party who owed a duty of due care to the victim must have breached the duty owed to the victim. This breach can be characterized as a failure to exercise due care due to recklessness and carelessness toward the safety of another person. Damages: These include property damages, medical costs of injury, pain and suffering and past, present and future lost wages. Causation: The injured victim known as the plaintiff in a lawsuit must prove by a preponderance of the evidence of the factual and legal cause of his/her injuries. We deal from strength, never from weakness. Reading Personal Injury Lawyer Gary Brod begins meticulous and painstaking preparation of his cases for trial from the first day he meets his clients. He always fully prepares the case to go to trial, hires the blue ribbon experts, does the proper investigation, researches every point of law about the case and takes depositions of all persons with information when needed.The defendant and the defendant's insurance company know of our years of experience and successful track record and sooner or later understand how well prepared we are.That is the reason that 90 percent of cases are satisfactorily settled before trial. To get the best results for our clients it is necessary that certain steps be taken by your lawyer. Perhaps the best spokespersons for what we do here at The Brod Law Firm are our former clients who come from all walks of life imaginable and from all over Pennsylvania and beyond. Get a glimpse of why our clients are glad they chose us. It is a fact that most of our business comes from satisfied clients who refer family and friends. Read about what the families and individuals that we have fought for in the past have to say about the work we do and the results we deliver..... in their genuine handwritten, thank you notes and then decide if this firm is the right choice with which to entrust you or your loved one's personal injury case. What should I do if I believe I have a Reading Personal Injury case? Top rated Reading personal injury lawyer Gary Brod recommends Reading and Philadelphia personal injury victims take several important steps if you believe that you have been injured because of the negligence of others. First, document the incident and make sure it is reported to the proper authorities and that you have written confirmation of the report. What happened? How did it happen? Did you ever warn the defendant that he or she was being negligent? Next, take pictures of any injuries you may have suffered. Our personal injury attorneys in the Philadelphia and Reading, Pennsylvania area also recommend that you take pictures directly after receiving injuries to show the extent to which you or your loved one suffered. Finally, contact The Brod Law Firm to consult with one of our expert personal injury lawyers regarding your case. Remember, time is of the essence and it is possible that your attorney can gain valuable information soon after the injury that he or she might not be able to gather later. Because Gary Brod has the verified credentials to show he is a Reading personal injury lawyer who only has represented personal injury cases on the injured victims side for over 30 years, you will assured he is 100% in your corner. At The Brod Law Firm our personal injury attorneys work for victim rights. Contact The Brod Law Firm today to speak to one of our expert personal injury lawyers in Reading. Call Gary Brod anytime at 888-435-7946 (888-HELPWIN) or contact us online for a free no obligation consultation and explanation of your legal rights. We also have the option of easy phone sign-up process and we can begin work today.